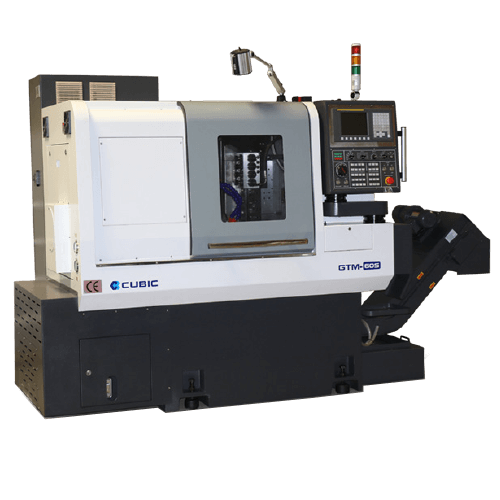 GTM series is a CNC lathe built from scratch for turn-mill utilizing innovations such as a full Y-axis, a gang tool post with multiple live tool stations, a polymer concrete reinforced machine base, and FANUC CNC control. 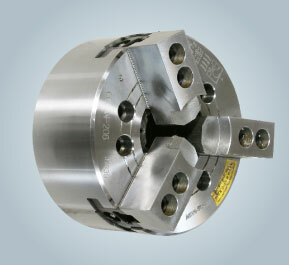 The GTM lathes are available in two bar stock capacity: 42mm (1.65”) and 60mm (2.36”). 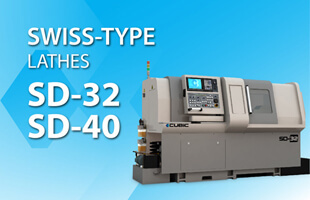 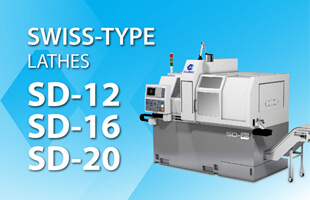 GTM-42D and GTM-60D are dual spindle machines, while GTM-42S and GTM-60S are single-spindle only. 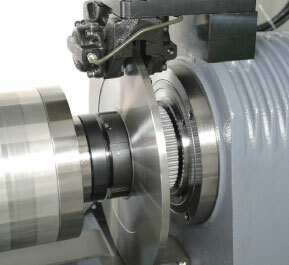 Other lathes add Y-axis after the fact and can only provide limited Y-axis travel (+/- 2”). 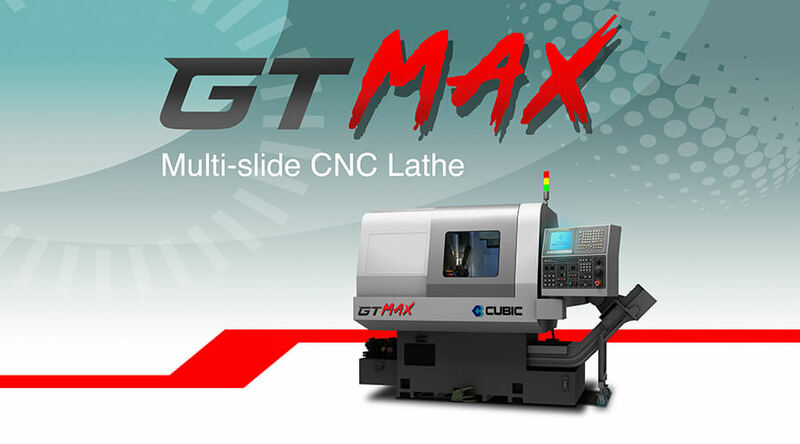 The GTM series on the other hand is purposely built for turn-mill since day one. 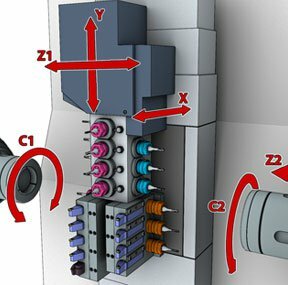 It can give you full 15” Y-axis travel for real milling capability. 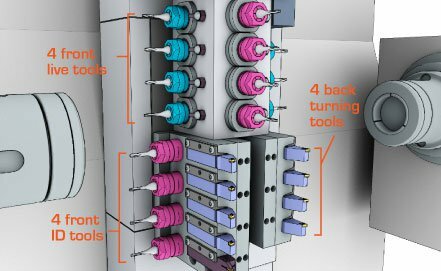 The gang tool-post moves to cutting position at machine’s rapid traverse speed and never has to wait for a turret to index a tool into place. 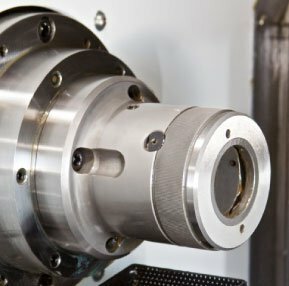 The tool-post also hosts a full complement of live tool stations so milling and drilling with C-axis can be done without expensive add-ons. 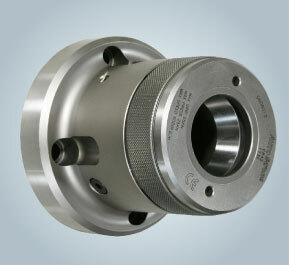 The spindle is supported by P4 preloaded angular contact ball bearings for both radial and axial loads. 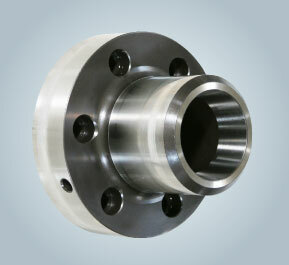 The spindle is belt driven and can reach up to 4000 rpm on 42mm-bar capacity machines. 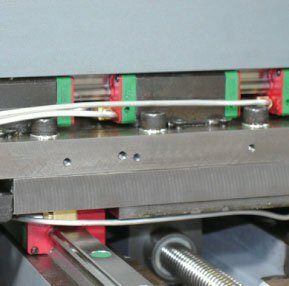 5mm pitch precision ground ballscrews are connected directly to the digital servo motors through timing belts. 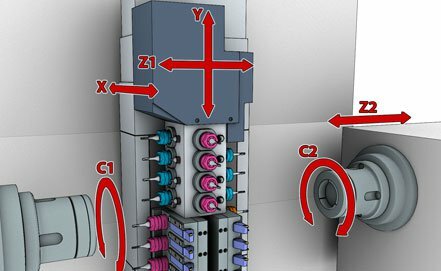 Along with the high precision linear ball bearing guides, the servo motion is harnessed into linear motion for the most precise tool movement and most rigid condition for heavy cutting. 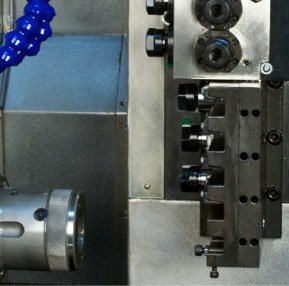 There’s more than meets the eye with the GTM. 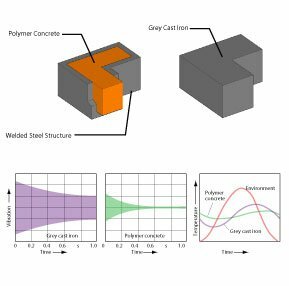 In order provide superior surface finish, GTM series uses a hybrid base of welded steel outer structure with polymer concrete internal reinforcement. 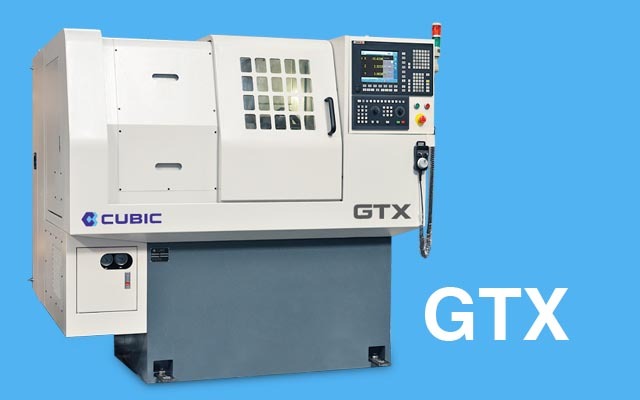 Compared with machine tools made with grey cast iron, the GTM’s structure dampens vibrations quicker and is also less affected by temperature fluctuations.